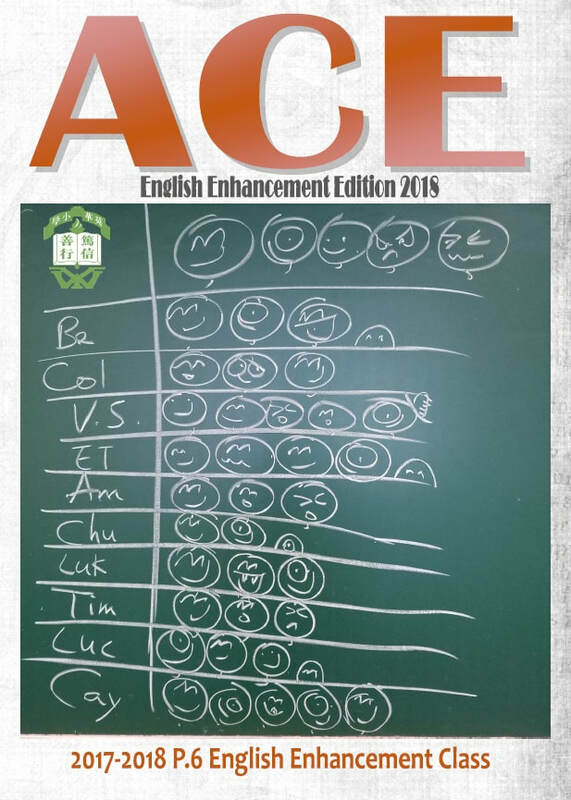 "ACE Journal" is the Panel Chair's yearly collection of good work from his students' class journal under the class-based "Award List (A-list)" scheme. Under this scheme, the teacher "awards" students in need to write a creative piece a time in their class journal which receives feedback from the teacher. Starting from the year 2013-2014, some good pieces under the scheme have been gathered in ACE Journal to share among the current and future students of P.6. 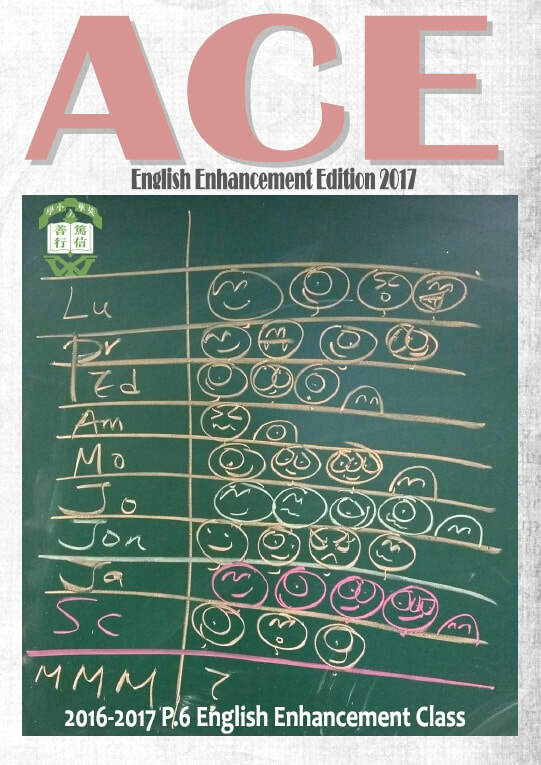 Though the "A-list" has not been developed into a school-wide scheme, we see no harm to share with you the ACE Journal here, featuring the wildest daily creative minds of our boys in their most original form annotated by the teacher. 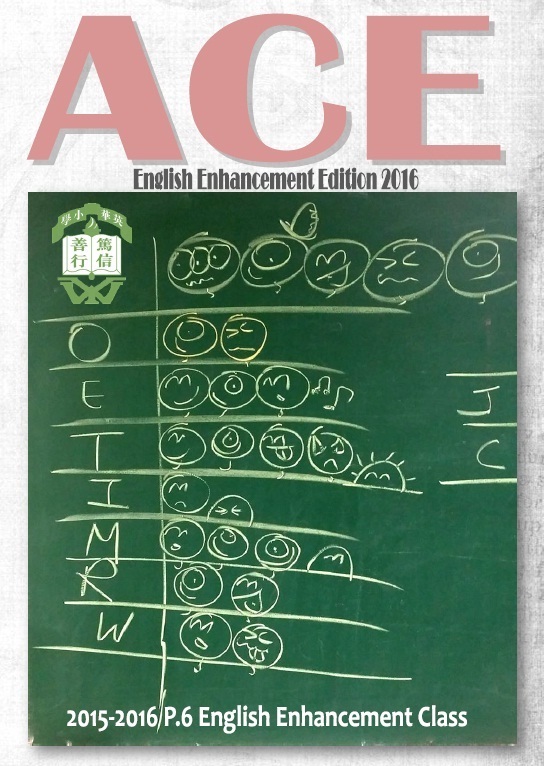 Since the school year 2015-2016, a special P.6 Enhancement Class edition of ACE has been released to recognize the very creative and literary effort of our participants. This version showcases very advanced level of work from the authors reflecting on what they have learnt during the enhancement sessions. Just click and download. Have fun reading!